Thirty Something Fashion – helping busy women define their personal style. Probably my most worn boots in my entire closet. I have had these Frye “Billy” for years and they just get better with age. My mother in law got him this fun slide, and he didn’t leave it ALL day. What gorgeous photos!!! !She is incredible! Glad the party was a smash hit and happy birthday to your handsome little man! Oh wow! What amazing photos of Connor 🙂 He is sooo cute! Those little slides are fun. They are great because they are small enough for indoors too (especially when it’s cold outside). Cute plaid shirt dress! Awww…Connor is adorable! I love his curly hair 😀 just too cute! OK…how awesome is it that over the wknd I found a blouse similar to your dress? Multi-colour gingham with ruffles…now a dress would have been nice too! He looks adorable and you looked perfect for that day. I loved the boots. Oh, Happy Bday to your little guy! What amazing shots. Love the plaid dress. Your son is so adorb!!! Beautiful little boy! Love your outfit. I want to try something like that. love the layering! Happy Birthday Connor! Awwwww! 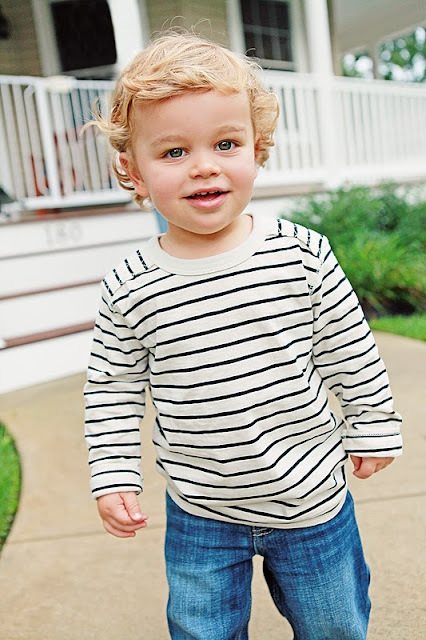 what an adorable little boy and mother looks great as well – very cute post – i found your via Lorena ! What gorgeous photos! He is a doll. Looks like a great birthday! Happy birthday to Connor. You both look adorable! first off, I love your outfit! you look amazing! secondly, you little man is ADORABLE! and those photos are amazing! Hope the party was a great time! Beautiful photos C. He is SO adorable! Love the black/white picture of him and the last one of the two of you especially, just beautiful! And you look gorgeous, love those boots! those photos are precious!! happy bday to him!!! also, come be my personal stylist? AAWWW!! congrats to your little man, he is so adorable and you looked great, love the boots! Great pics! And Charlie has that same guitar shirt…we really do have great taste! Your son is Adorable!! Love your outfit too! The boots are Fabulous! Hello love! I’ve been M.I.A. for just over two months and I’m finally making my way back to blogging. Happy Birthday to your son! 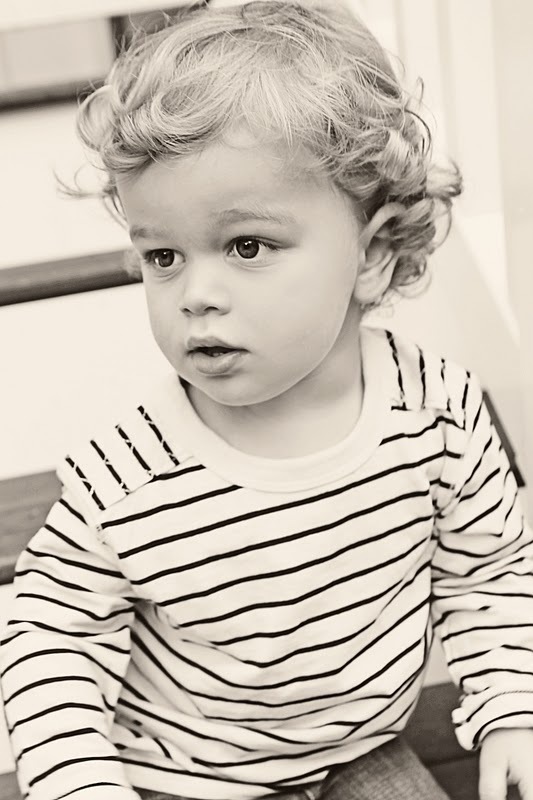 He is absolutely adorable and the photographer did an amazing job on the photos. I also love your ruffle shirtdress and it looks great with those boots. I hear everyone rave about Frye and might just have to see what all the hype is about. Carly, your son is so big now! Happy birthday to the big boy- yay! And you, look great! That outfit is super fun, it’s a bit like Western chic 🙂 The photographer pics are gorgeous as well. I love the last one with son and mommy! Awww, those are great pictures! I love his hair and expressive eyes. Don’t you love a good pair of boots that lasts?! I couldn’t live without mine. First of all? Your little guy? GUH. I want to eat him up. Those eyes are gorgeous. Secondly? I will send you my address immediately so you can put those Frye’s in the mail toot sweet. Well now, I have a shirt dress just like that, guess what I am wearing tomorrow. I hope that your little guy had a wonderful 2nd birthday, and those are some beautiful photos, you must be thrilled. Looooooove those boots and your little mister is such a doll! great photos! I love your vest! this post is faboulous! great! see the MIRIAMSTELLA’S BLOG! al follow me, if you like it! i have the dayly outfit for you! Ah Caryl, a huge congrats on your little man turning 2. They grow up so fast. The photos are priceless. I love the candid shots the most as well. I have a few like that with my kids looking at each other and laughing at something and those are my favorite. You look so chic with your hair all slicked back. Love the fry boots. They will be heirloom one day. P.S. Adoring your Frye boots. Happy Birthday to your little boy – you look casual and comfy, plus chic! Your outfit is fantastic! Comfy and chic! And holy heavens your son is the most handsome young man! What precious smiles! His hair is similar to my 2 year olds. Blonde and curly. I think when Gabriel turned two it hit me that he was no longer my baby. Bittersweet! Your little man is soooo adorable! LOVE your boots darlin!! Happy birthday to your little man! Connor is sooo cute !! i really love this quicksilver dress and the vest looks fantastic! Oh the professional photos look amazing and I love your outfit. I bet Connor had a great time.